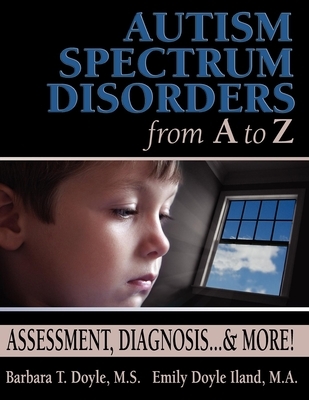 This extremely comprehensive book goes step-by-step through the symptoms, definitions, assessments, and diagnoses of Autism Spectrum Disorders (ASD). The authors describe ASD in terms of the parents, teachers, the school system, medical professionals, adult service providers, and private agencies involved. In addition to revealing what parents and professional can expect, this book also provides practical strategies to improve the assessment process and help the child or adult deal with the stress of the evaluations. Finally, they tackle the controversial issues surrounding the causes of ASD and available treatment options. Barbara Thompson Doyle, MS, is a special education professional with over thirty years of experience in developmental disability services. A consultant in private practice, she is well known and respected for her practical and positive approaches to addressing the needs of children and adults with disabilities. As an enthusiastic lecturer, teacher and trainer, Ms. Doyle travels extensively to bring her holistic, humane and effective approaches to others. Ms. Doyle is "Aunt Barbara" to Tom Iland, who has an autism spectrum disorder (ASD). Emily lives in Santa Clarita, CA, with her husband Steve and their family. In "Autism Spectrum Disorders from A to Z, " she draws on her experiences advocating for her son Tom who has ASD, and assisting other families. Emily's co-author is her sister, Barbara Doyle, who shares her perspective as an educational professional and autism specialist. Emily translated their book into Spanish and published the Spanish version in June, 2005. "Los Trastornos del Espectro de Autismo de la A a la Z "is the winner of the 2006 Outstanding Literary Work of the Year from the Autism Society of America. In April, 2007 both books were awarded the Exceptional Parent Magazine Symbol of Excellence Award. Emily is a member of the Transition Task Force of the California Blue Ribbon Commission on Autism and will be providing data from her thesis to inform the Commission's legislative recommendations. She is the Secretary of the Autism Society of America, Los Angeles, and a founding member of SCAAN, Santa Clarita Autism Asperger Network. Emily is a founding member of C.L.E.A.R, Community and Law Enforcement Aware Response, a collaborative to reduce criminal involvement of people with disabilities and help law enforcement officials be informed in their response to people with special needs.